non stick coatings are normally primer / topcoat systems. These products have the highest possible operating temperature (290°C / 550°F) of any fluoro polymer finish, an extremely low coefficient of friction, good abrasion resistance, and good chemical / corrosion resistance. non stick coatings flow during bake to give non porous films. These coatings have excellent chemical / corrosion resistance, good abrasion resistance, and extremely low coefficient of friction. Maximum in-use temperature is 205°C (400°F). non stick coating is a powder coating. 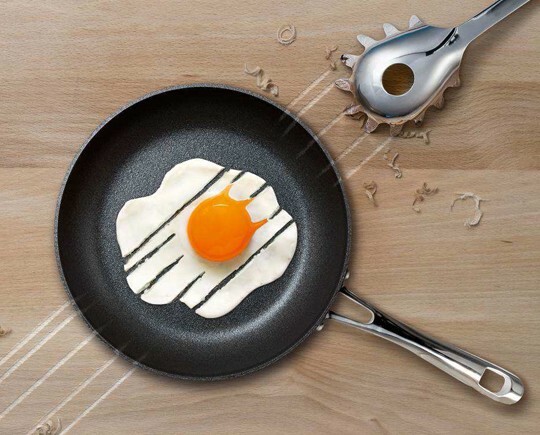 The finish has excellent non-stick properties, low coefficient of friction, very good abrasion resistance, and excellent chemical / corrosion resistance. These properties are retained at use temperatures up 260°C (500°F). Application of 125 – 750 micrometers (5 – 30 mils) is possible; a primer is usually required. produces a very tough, durable finish having excellent chemical / corrosion resistance at temperatures up to 150°C (300°F). Film thicknesses above 750 micrometers (30 mils) are readily obtained.